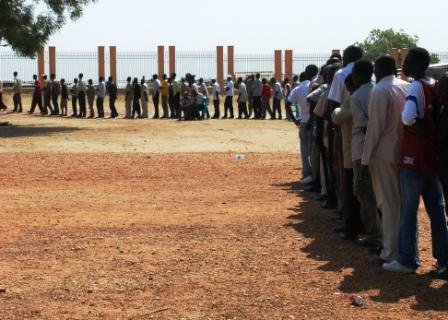 The independence referendum for Southern Sudan for which an estimated 2 million Sudanese have died over the last 30 years started today wherever Southern Sudanese live. I expect to return next month to continue providing technical assistance on setting up a new central bank and issuing a new currency. My Deloitte colleague Adam Wicik sent the following email this morning along with many happy pictures of which I am attaching three. Greeting from sunny, warm and still calm Juba. Again, there is no escaping some photos from here. 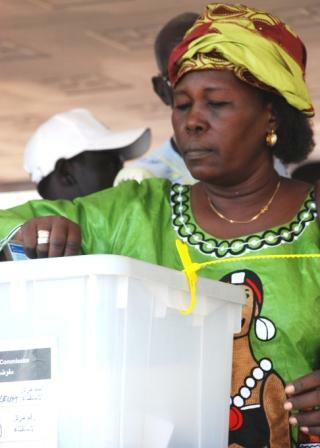 As you all know, a Referendum on the future of Southern Sudan started today and will go on for another 7 days. Today was the first day. As it is Sunday, with kind permission of Andy, Kate and I were able to go around and pretend to be press photographers. We almost got arrested once for taking photos, but Deloitte ID card works like magic! Photos fall into two groups – voting, i.e. long queues, people patiently waiting, casting their votes and immediately shouting in happiness, and having a fingers dipped in long lasting ink to stop them from voting twice. Everything has been quiet and peaceful so far. There was some singing, dancing, and drum beating as well. Of course, what else could you expect on a happy day. You will see some photos of those happy (and sleepy for some) moments too. George Clooney is here again. As always staying at AFEX. Today we caught up with him at the local church. This is all for now. Keep your fingers crossed that the rest of this week, and the next six months, stay calm and happy.